Electric Sheep is the most mind-blowing, psychedelic and trippiest screensaver I have ever seen with these two eyes. 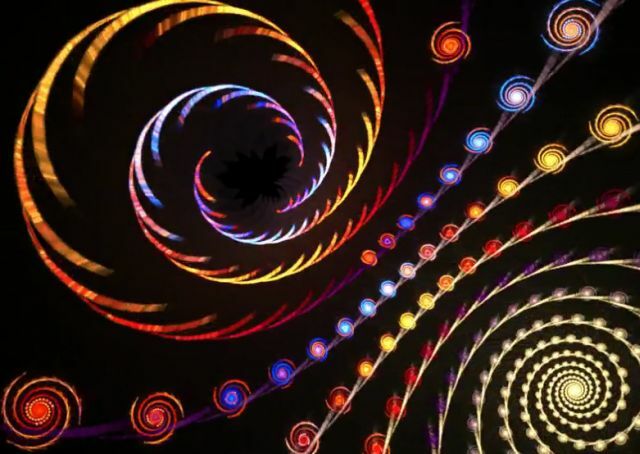 It displays a series of animations that blend color, pattern and motion into a very mesmerizing light show that will leave you spellbound and hungry for more. And there’s certainly more where these animations come from. They’re actually downloaded from the Internet, and with the help of other computers also running the Electric Sheep screensaver, new morphing abstract animations known as “sheep” are being created constantly. As you watch these animations, you can vote on your favorite “sheep” to further influence their development. For the advanced user, there are tools available for creating your own “sheep” and submitting them to the server for all the clients to work on. But for the average user, it’s fun just to watch the animations and vote on your favorites, which is enough to determine how future animations will be developed. I have seen some truly mind-blowing animations with this screensaver, and what’s really exciting is you’ll never know what’s coming next. Who knows, maybe something even more mesmerizing than what you’ve seen already. Starflight is one of the coolest screen savers I’ve seen in a long time. It doesn’t require the latest graphics cards nor does it use OpenGL or DirectX. It’s not just another starfield screen saver either. This one draws simple lines and dots to create a feeling of traveling through space and what’s more, the camera view actually changes. Never have I seen something so simple work so well. I like this screen saver so much that I use it on my computers at home and at work. There are lots of screensavers out there that pay tribute to The Matrix saga with those strange green letters raining on your desktop, but here’s the one I like the best. It includes the trace program sequence as seen in the first movie where Neo receives the instructions to follow the white rabbit. You can configure the screensaver to use any name besides Neo’s to make you feel like the hero, for once. And of course, after the trace program sequence finishes, those weird green letters begin to rain. I like this screensaver so much that I use it at work as a means of escape from my desk. Really Slick Screensavers is an awesome collection of 3D OpenGL screensavers for Windows. Some of the really cool ones are the fireworks-filled Skyrocket and the starfield simulator Hyperspace, but all of them are worth checking out. You will need a fast computer in order to be able to see these savers in all their artistic glory but I’m sure everyone out there has at least graduated out of those old Pentiums by now. The TV Noise Screen Saver is one of the coolest screen savers I’ve seen. It fills your screen with patterns of white noise, much like what you see on TV when there’s no signal. It’s a very cool effect and can be quite soothing to watch. I’m glad someone thought of making something like this. 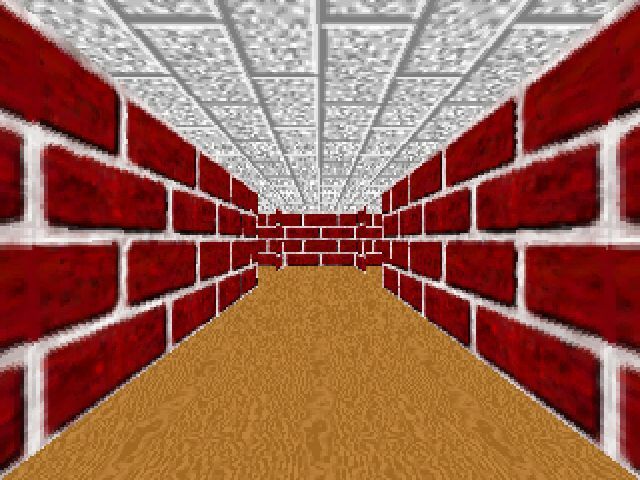 Variations of the 3D Maze screen saver. 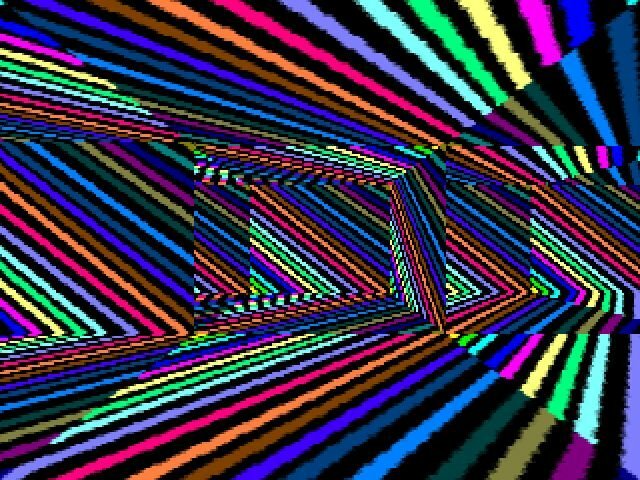 I really miss the old 3D Maze screen saver that came with Windows 98. Not only was it fun to watch, it was also fun to replace the floor, wall and ceiling textures with your own pictures. Here are some variations I came up with. 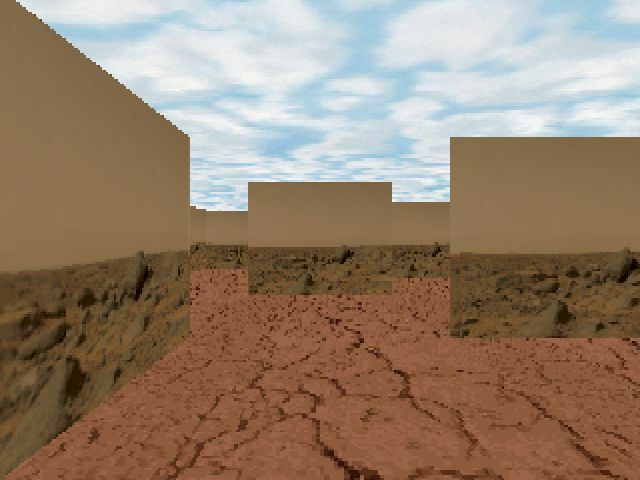 Here I transform the maze into a virtual Martian landscape. The wall texture here is a real picture of Mars that was transmitted by the Sojourner rover during its thrilling exploration of Mars years ago. The floor texture came from my Rise of the Triad game CD and the ceiling texture was downloaded from the web. It is up to me to find the switch that will end the machines’ reign of terror and save the world. Pretty heavy for an ordinary screen saver. This variation I call Vertigo is a real trip. I’m surprised the computer can still find its way around the maze. The confusion is maddening but it does a heck of a job saving your screen. 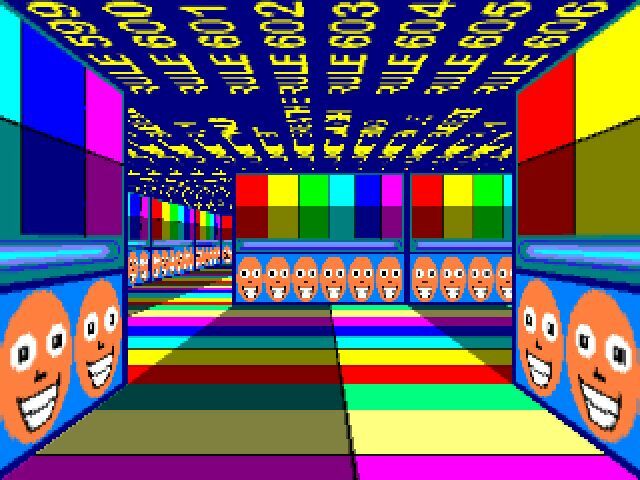 I still don’t know why 3D Maze doesn’t come with Windows XP or Vista. It actually works fine on both of those systems if you still have your Windows 98 CD. Exe2scr is a screensaver launcher that was originally designed to launch Wizmo’s built-in Graviton screensaver, but I found it works really well for old MS-DOS screensavers too. Just browse to the location of the old screen saver you wish to use and the launcher will run it when the computer is idle, just like the good old days. Truly, the flying toasters have returned.